"Guitars weave together, handclaps and taps push the rhythm, ghost voices offer harmonic expansion to mantric songs. Play it soft, and it drifts into the background. Play it loud and something much more vigorous and compelling emerges." 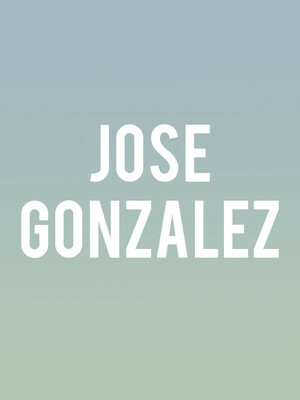 After first coming to mainstream attention when his ebullient folky cover of The Knife's 'Heartbeats' was used to soundtrack 250,000 bouncy balls cascading down San Francisco's Filbert Street for a Sony advert, Jose Gonzalez has become recognised as an eccentric musician who thrills with a mix of classical guitar and soft melodies. Back with 'Vestiges & Claws' his first record in seven years, Gonzalez has amassed a series of musical sketches and landscapes riffing off the nature of civilization, humanism and solidarity that showcase his passions and inspirations in beguiling form. So settle yourself into the groove and enjoy an uplifting evening in the company of this enthralling singer-songwriter. Seen Jose Gonzalez? Loved it? Hated it? Help your fellow New Haven Theater visitors by leaving the first review! Sound good to you? 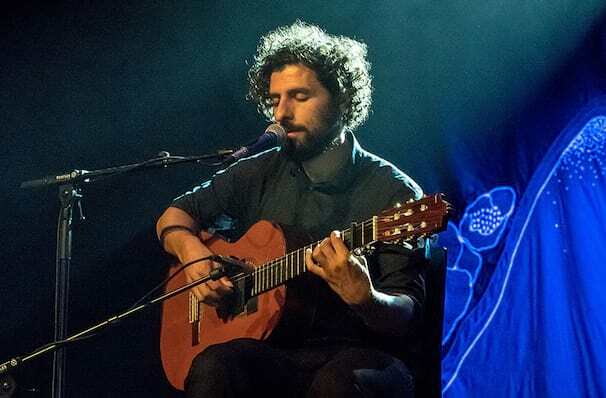 Share this page on social media and let your friends know about Jose Gonzalez at College Street Music Hall. Please note: The term College Street Music Hall and/or Jose Gonzalez as well as all associated graphics, logos, and/or other trademarks, tradenames or copyrights are the property of the College Street Music Hall and/or Jose Gonzalez and are used herein for factual descriptive purposes only. We are in no way associated with or authorized by the College Street Music Hall and/or Jose Gonzalez and neither that entity nor any of its affiliates have licensed or endorsed us to sell tickets, goods and or services in conjunction with their events.